We are recruiting volunteers for the following services. Most of our volunteering opportunities require Cantonese-speaking ability, few do not have such requirement. If you have any questions, please email elexaliu@hopeww.org.hk. Thank you! We believe volunteering is one of the best ways to get to know an organization, its people, beliefs and culture. At HOPE worldwide, we have many opportunities for you to get involved. The time you give can change a life, be it a few hours, a day, or a week. 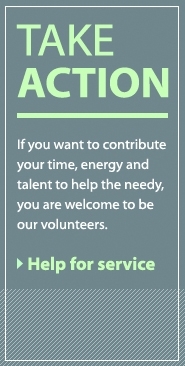 You can volunteer just once, sporadically, or regularly. Sign up to receive our email newsletter so you don’t miss any great opportunity to make a difference. Just key in your email address in the “Keep Informed” box above and click “Subscribe”. Also make sure you like our Facebook page to get the latest updates! If your company is looking for volunteering opportunities, please contact Amy Chiu at (852) 2915 3231 or email her at amychiu@hopeww.org.hk.